Our students at Jamnabai Narsee School in their own little way give back to their country by making efforts to uplift their community through various community service programs. 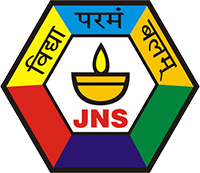 Jamnabai Narsee School believes that moral and ethical values cannot survive from one generation to the next if the only preservatives are text or studies. Real life experience is crucial for shaping values, as out of it develops an intuition and a living memory that are the seeds of humane and just society. Awakening the children to be sensitive to the needs of others is considered to be an integral part of learning in our school. CAS at Jamnabai Narsee School IB plays an integral role in shaping the mindset of the student community as per the IB Learner Profile. The initiatives taken up this year dealt with global challenges having a localized impact and helped us develop into more aware, caring and reflective individuals. JamnabaiNarsee's Youth for Environmental Sustainability movement initiated by IBDP students of May 2010 batch. The JNYES Panchsheel: 'Awake, Aware, Act, Appraise and Achieve,' governed this year's activities. The IBDP students said, Yes in action, to the UN theme 'Save Water –Save Energy'! Students of Jamnabai IB plan an annual trip to Lakhania Village in Kutchh, Gujarat in order to be an active process of rural development in India. The students of the ISC took up a social cause as part of their SUPW work. The students went to Ashte Village, Raigad District and helped in constructing a computer room and also equipping the villagers with the necessary computer skills. In the common kitchen some children prepared snacks for the villagers.